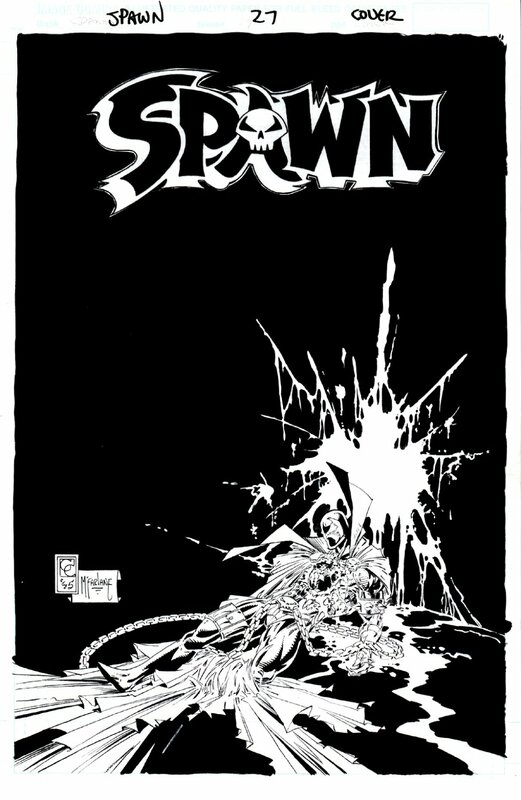 Click Here To See Spawn #27 Comic Book! Check out this AWESOME 1995 SPAWN cover, which was penciled by the great Greg Capullo, and inked by the totally great Todd McFarlane, from an ever classic FIRST APPEARANCE issue titled: "Cursed!" This AWESOME looking cover is only the 2nd cover that both artists worked on together, as Spawn #26 was the VERY FIRST time Greg Capullo and Todd McFarlane worked on a SPAWN cover together! 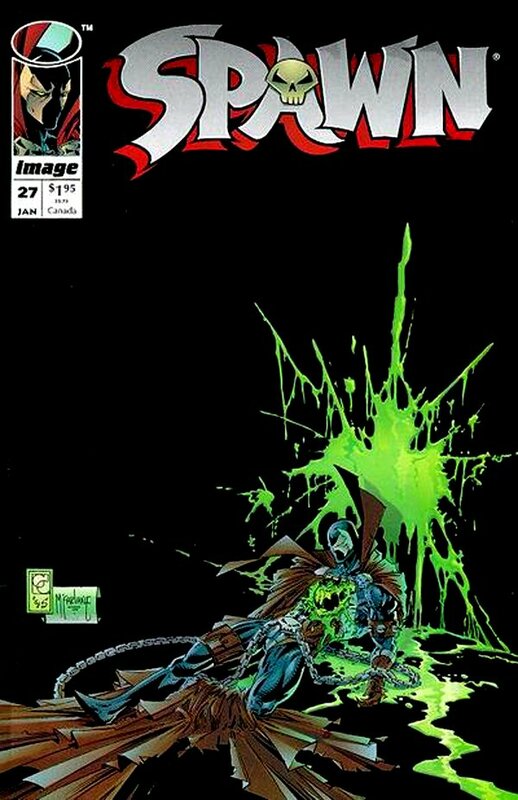 This great cover features a FULL BODY SPAWN image, as he is defeated and laid up with green blood all over the wall behind him as well as all over the ground around his body! WOW! This cover story features the very 1st appearance of the "Curse". There is a new threat terrorizing Spawn's alleys and his name is "The Curse". He's here to punish the wicked, and Spawn is at the top of his list. Cover is signed in the art by both Todd McFarlane and Greg Capullo! The logo is added afterward, as image covers didn't have stats created from the publisher back then. Compare this nice cover art to the published comic book in the red link above! ALL art on our website (including this one) are able to be purchased with VERY fair time payments, and trades are always considered towards "ANY" art on our website! Just send us an email to mikeburkey@aol.com and we can try to work something out.